TCO 5—Given a simple problem that requires iteration, create a solution algorithm that employs loops. 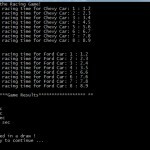 TCO 6—Given a simple problem that requires simple data structures, design, code, and test a solution algorithm that uses arrays. 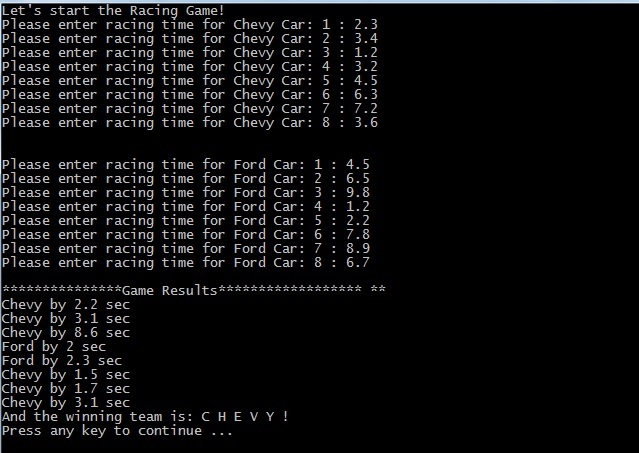 There are eight cars in each team called Chevy and Ford. One car from each team races its opponent on the drag strip. Read in the racing times for the eight Chevy cars and then read in the times for the eight Ford cars. 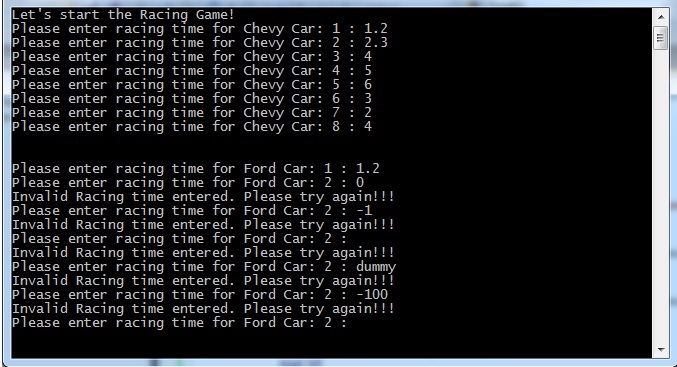 Store the times into arrays called Chevy[ ] and Ford[ ]. Then list the winner of each pair, giving the number of seconds the winner won by. At the end declare which team won based on which team had the most wins. 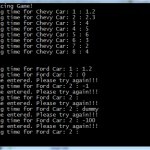 Below is a sample match. And the winning team is: F O R D ! 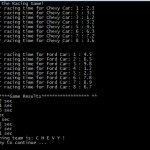 •	Accept the racing times for each of the Chevy cars into the array Chevy[ ]. 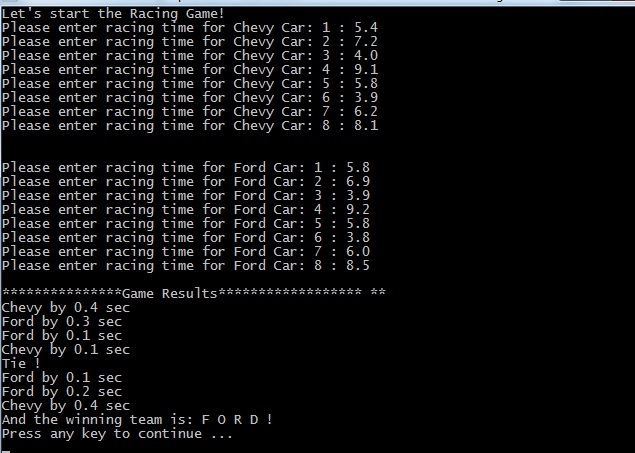 •	Accept the racing times for each of the Ford cars into the array Ford[ ]. 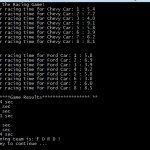 •	Then declare the wining car for each race, giving the winning time in seconds. 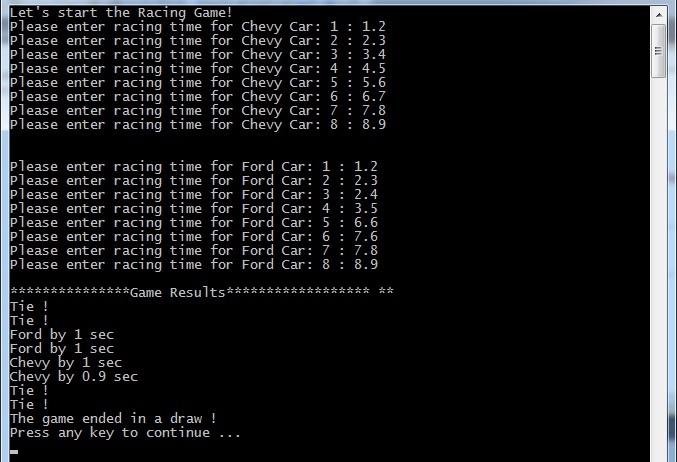 •	If the times are identical, then declare the race was a tie. •	Finally, declare which team won the match, assuming a tie is possible. 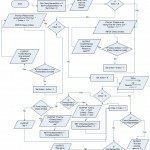 Be sure to think about the logic and design first (IPO chart, pseudocode, and flowchart), then code the Visual Basic program. 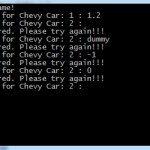 List all variables you will use (use valid variable names). Indicate whether the data type is string, integer, or decimal, and so on. Paste a screenshot(s) of the complete working program here. Use test scenarios to test all possible paths of execution.